On January 18, 2012 the National World War II Museum in New Orleans will show Forgotten Soldiers in the Solomon Victory Theater. At the beginning of World War II General Douglas MacArthur's 80,000 troops on Bataan faced one of the worst atrocities in military history--the Bataan Death March. 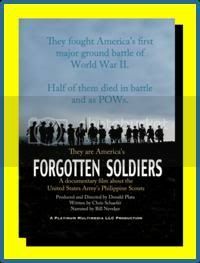 In this stirring documentary Bataan survivors describe the battles of Bataan, Corregidor, and the Death March itself, over photographs, reenactments and actual footage of the events. The 12,000 Filipino and American soldiers of the Philippine Scouts were the backbone of General MacArthur's doomed forces, but few Americans today are even aware of this unique segment of the United States Army. They are America's FORGOTTEN SOLDIERS. The National World War II Museum, www.nationalww2museum.org, founded by Dr. Steven Ambrose, author of Band of Brothers and numerous other important works on World War II, is America's premier site for relating the experiences of the war that changed the world. The museum honors more than 16 million Americans who took part in that global conflict. Its Solomon Victory Theater regularly shows Beyond All Boundaries, a 35 minute 4-D cinematic experience produced by Tom Hanks and Phil Hettema, and has premiered feature films and documentaries by Ken Burns and other major filmmakers. It was the world premier theater for HBO's The Pacific. 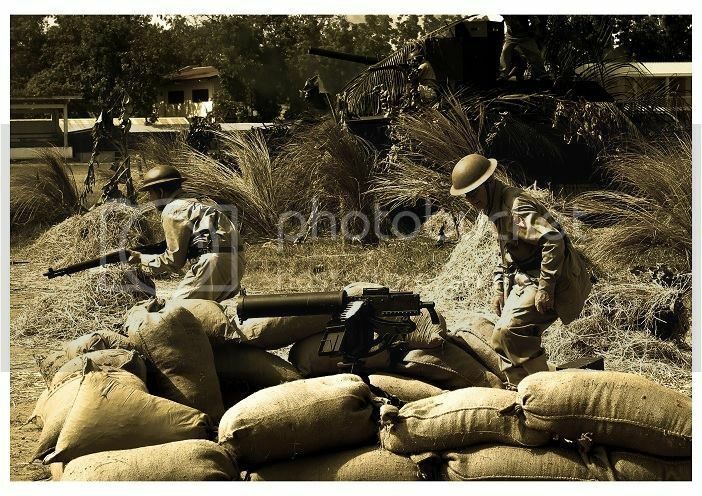 Watch for further announcements about Forgotten Soldiers, join us on January 18, and visit us on Facebook.